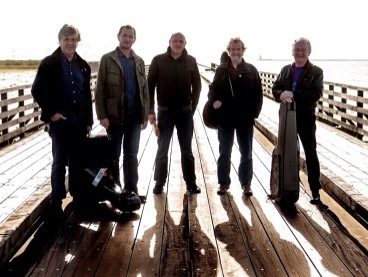 FORMER MEMBERS of Planxty and The Bothy Band, including Andy Irvine and Donal Lunny, two absolute legends of Irish folk, join forces in Usher’s Island. 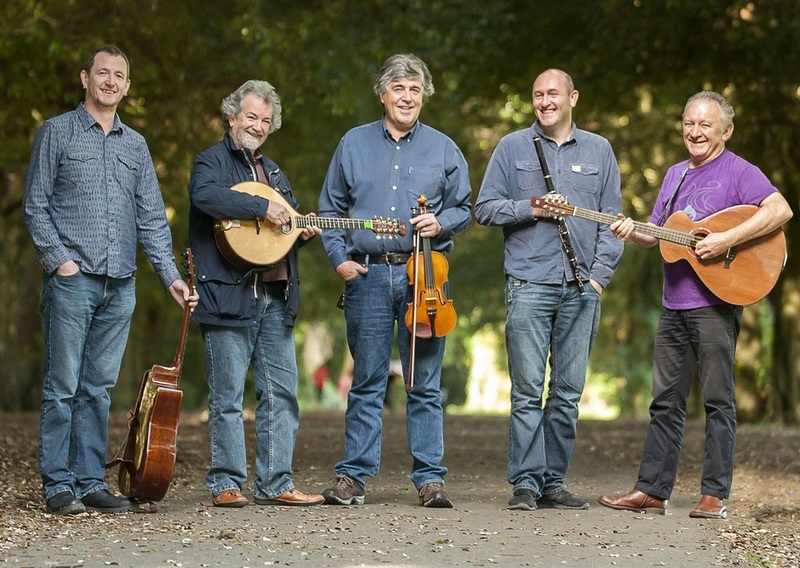 A trad/folk supergroup, Usher’s Island are Andy Irvine and Donal Lunny; along with fellow Bothy Band founder, and one of Ireland’s leading trad fiddlers, Paddy Glackin; along with Mike McGoldrick of Lunasa and Capercaillie and Slas’s John Doyle. Andy Irvine has blazed a tail for trad music, allowing room for Eastern European scales and instruments to be accepted within Irish folk, his songwriting, and revival of older songs; through his solo work; his celebrated collaborations with Paul Brady; as well as his membership of such bands as Sweeney’s Men, Planxty, The Bothy Band, Mozaik, and Patrick Street. Dónal Lunny is central to Irish music since the 1970s through his membership of Planxty, the Bothy Band, Moving Hearts, Coolfin, and Mozaik, as well as through his role as a producer, and working with non-folk musicians like Kate Bush, Mark Knopfler, and Elvis Costello. A founding member of the Bothy Band, fiddler Paddy Glackin left to pursue a solo career shortly before the band launched their first album. Glackin’s fiddling can also be heard on recordings by Van Morrison, Kate Bush and John Cage. Born in Dublin, Glackin was weaned on the Donegal style of fiddling played by his father, Tom.John Doyle was a founding member of Irish-American supergroup Solas in the 1990s and recently served as band leader for the Joan Baez band. As a co-founder of Lúnasa, and current member of Capercaillie, flute-player and piper Michael McGoldrick has played a great part in expanding the audience for instrumental music from Ireland and Scotland with his expert technique and visionary sensibilities.